This is a wonderful CD. 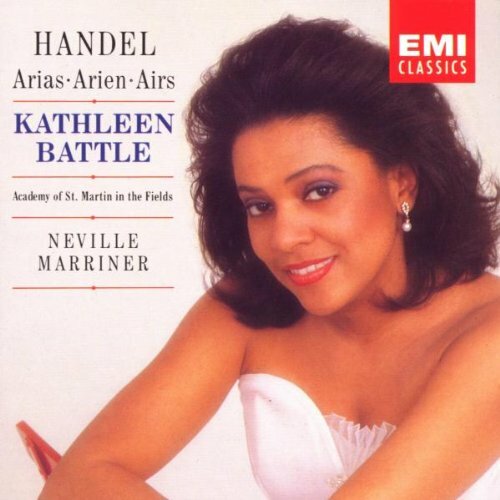 Kathleen Battle's voice is so amazingly sweet, never harsh, always bird-like, flute-like, and sublime in its beauty. 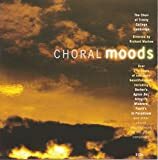 This was the first choral CD I've ever purchased when I started becomming involved with choir during my senior year of high school five years ago. 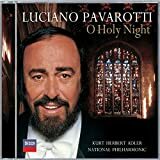 My director was telling the choir that he had finally found his copy at a music store and referred to it as the "Holy Grail" of choral recordings. So, I went out to find my own copy and I'm still blown away by it today. I've even given copies as gifts. The music is certainly relaxing and such, but what I most value from it is the spiritual magic. The Choir of Trinity College, Cambridge (then and now my favorite choir in the world) brings every composition to life in such a way that's pure, elegant, and deep. Listening to this music and enjoying this choir has allowed me to set my own standard of singing and compositional excellence. 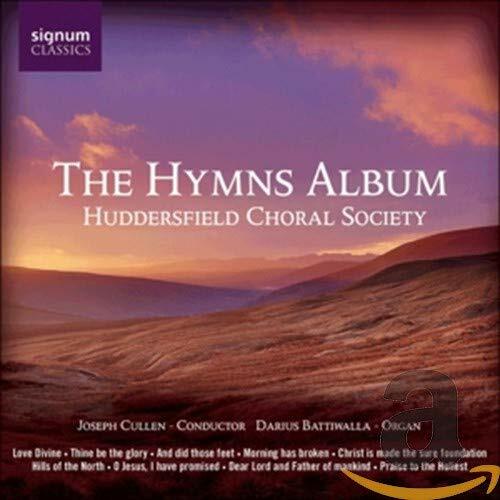 I keep finding new things to love on this CD, including the fact that it has the first recording I found of Gabriel Faure's beautiful Soprano (or Soprano/Alto) duet Ave Maria., Opus 93.The same recording appears on another CD where the singers are named.The above description of this selection unaccountably adds a baritone.Incidentally, Faure also composed a shorter SATB Ave Maria, which John Rutter has recorded. 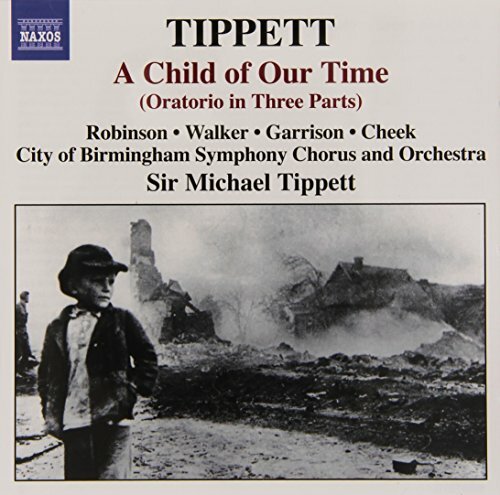 All three of the standard recordings of Tippett's early masterpiece, A Child of Our Time, are excellent performances. 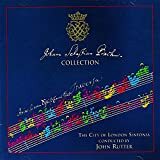 The earliest, conducted by John Pritchard (1958), would have been considered superlative on its own, and it still is despite somewhat cramped, dated sound and soloists who are less than stellar, particularly in their diction. The Colin Davis from 1975 became an instant first choice given the unequalled casting of Jessye Norman and Janet Baker in the female parts. But this budget release of the composer's own 1991 performance is uniquely deep and moving. 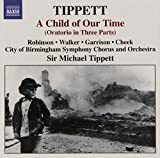 Tippett was an excellent conductor of his own music, and as with Britten, he brings a composer's understanding that no one else can duplicate. My first exposure to A CHILD OF OUR TIME was a radio broadcast of the work in the 1970's. 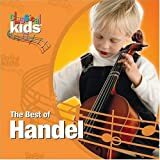 Our local classical station would air recorded concerts of some of the country's best known orchestras, and one night A CHILD OF OUR TIME was the featured work. I found it interesting, but I wasn't overly moved. I later heard a college choir and orchestra perform the work, and I found it somewhat tedious, but the acoustics in the hall were not the greatest, so the performance may have been top notch but no one knew it. 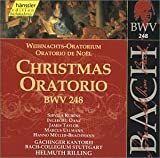 Not one to give up easily on music of any kind, I decided to purchase this recording to be come familiar with the work before attending a performance of the work by the Boston Symphony Orchestra under the direction of Sir Colin Davis a few weeks ago. I am not sure if it is due to maturing of my musical tastes, more familiarity with the work, ort the excitement of the performance itself, but I have rarely been so moved at a musical performance as I was at the performance and I'm sure this recording played a part in my appreciation of this work. Michael Tippett was a lifelong pacifist who served a brief sentence during World War II as a conscientious objector. He wrote 'A Child of Our Time' early in WW II and he wrote the text for it himself after T. S. Eliot, whom he had asked to supply the libretto, told him that Tippett's own outline was sufficient tothe task. The narrative of the cantata is about a Polish boy living with relatives in France after his parents had been killed by the Nazis who himself then shot and killed a German official in 1938. He was imprisoned by the French government but that apparently wasn't punishment enough; in reprisal for the act the Nazis carried out the horrific 'Kristallnacht.' Tippett's text is not a simple condemnation of the Nazis, but rather it explores the complex psychological issues on both sides of the question of whether the boy's act was justified. Clearly, though, his sympathies are with the boy and the others who were persecuted by the Nazis. Indeed, one aspect of this great cantata is the use of spirituals to convey the feelings of the persecuted Jews. 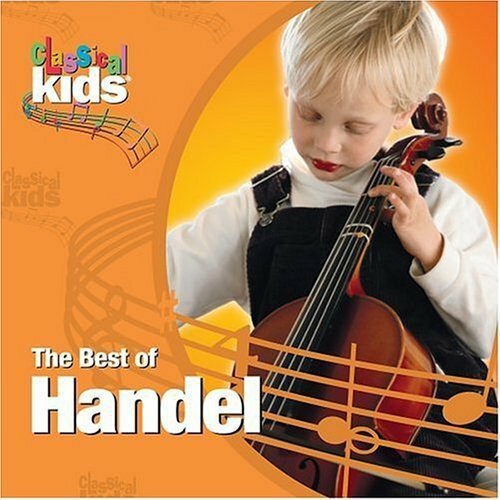 This is one of the best versions of Handel's Messiah. J. Eliot Gardiner is always great with conducting oratorios and this version is done on authentic instruments with a smaller choir.The choir singing is excellent -- the tempos for such favorites such as "For unto us a Child is born" is just perfect -- not too fast or slow, but graceful and lively.The soprano, Margaret Marshall, is particularly outstanding and beautiful, especially on arias such as "Rejoice Greatly," and "For My Redeemer Liveth. "The tenor, Rolfe Johnson is also wonderful.Some of the alto pieces are sung by a male alto and others by the female alto.The only soloist that I found somewhat disappointing was the bass, especially on "For the trumpet shall sound" -- his singing was pretty heavy-handed and not distinct enough on the words "for the trumpet shall sound. "(I listen to other versions for the bass solos). The best known Messiah ? 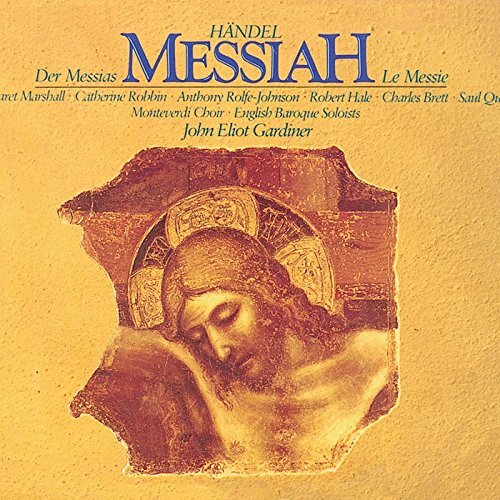 This 1982 Phillips _Messiah_ by Sir John Gardiner is still very often recomended as the best. But keep in mind that no version is generaly recognized as definative so it's wise to sample before purchase. 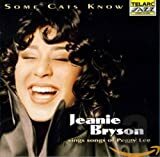 With that in mind, I'm happy to say that right now (Oct 2004) you can hear all the tracks over on Amazon's page for another boxset of this same recording. 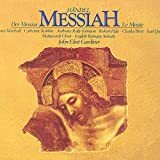 Still A Good Messiah Recording!!! 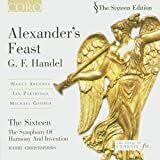 This recording is a very complete version of Alexander's Feast, following the composer's practice of inserting other pieces to create a performance of appropriate length.Excellent soloists, orchestra, and chorus.A high quality recording. I just attended a live performance of Alexander's Feast and I saw many people who probably never heard anything else than Messiah, suddenly finding out that there ismore to Handel than Hallelujah chorus. This music is exciting and original, you may know several arias like "War he said is toil and trouble" or "Revenge!" 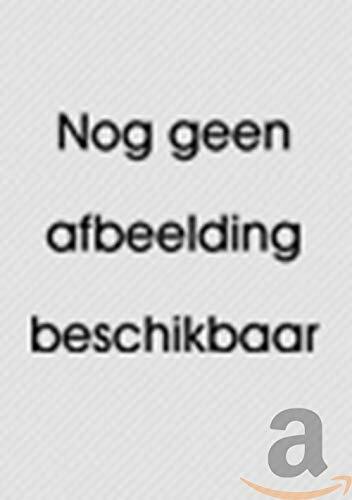 but it is great as a complete work. It was written for St. Cecilia's Day celebration, then re-written several times, but it remains as a beautiful example of Handel's mastery in choral composition and writing showcase arias. 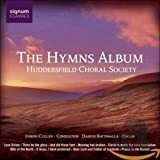 The soloists are great, especially Ian Partridge, and the chorus is outstanding. This is a wonderful performance of one of Handel's great works. 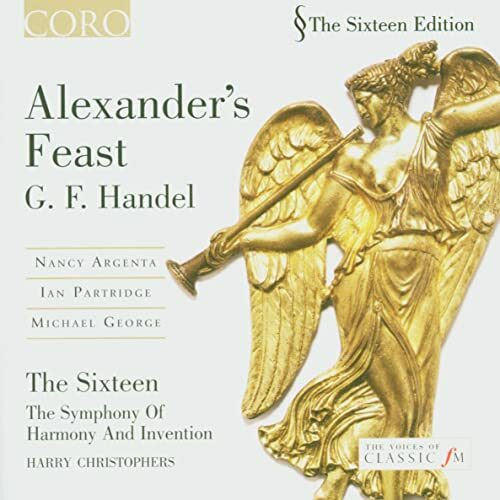 "Alexander's Feast," Handel's 1736 setting of Dryden's ode in honor of St. Cecilia's Day (patron saint of music) is a masterpiece and a delight, but its odd length - too long for a mixed program, too short for a full evening - gave Handel trouble and apparently still presents a problem: this is at present the only recording of this inspired work in the catalogue, though some good ones have come and gone. 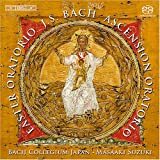 Fortunately, this reissue of the Sixteen's 1990 version is first-rate, in fact the best I ever recall hearing, with chorus, orchestra, soloists and conductor all in top form. Furthermore, music director Harry Christophers has wisely chosen to include the two concerti - one for harp, the other for organ - that Handel inserted in his original performances. Not only do they lengthen the piece to a satisfactory 115', they serve a satisfactory dramatic purpose by representing respectively the power of music in its pagan form - the bard Timotheus's lyre represented by the harp - and Christian - Cecilia's (apocryphal) organ. Both receive sparkling interpretations here. 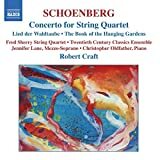 Schoenberg's fearsome reputation with the music-going public is sitll potent enough to clear a concert hall, which is unfortunate for anyone who has missed out hearing his tonal works. 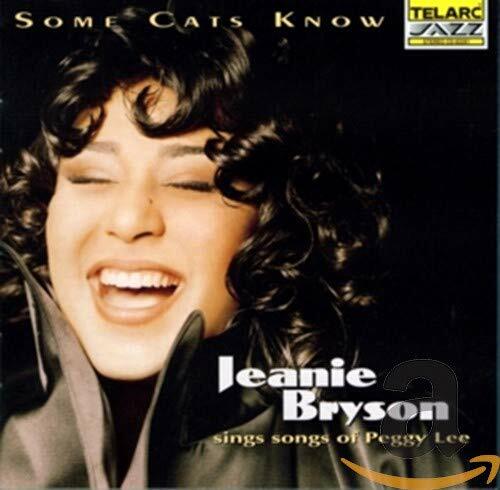 The reviewers below have given detailed descriptions of this CD. I only want to add that the Concerto for String Quartet after Handel is a delightful, festive piece, and having just discovered it myself (I heard it as the score to a Paul Taylor ballet, Spindrift), my enthusiasm is sitll fresh. The two vocal works here are nearly as acceissble. 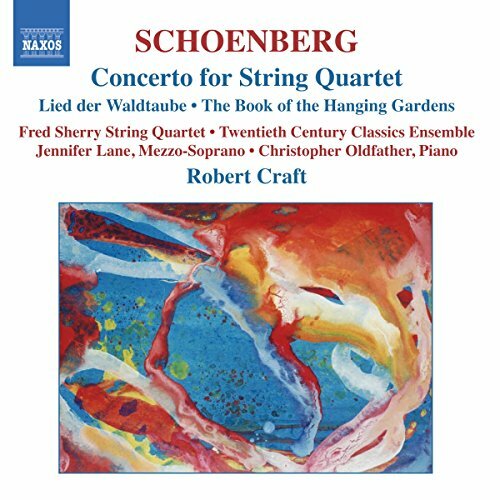 In particular, the lush post-romantic idiom of The Book of the Hanging Gardens falls on the ear as seductively as Berg's early songs or Wolf's late ones. Maybe listening to these three pieces will make it easier for listeners to accept the twelve-tone Suite for PIano, which is quite beautifully composed for the instrument, but if not, the more accessible works are a joy in themselves. Think of an example of radical, pure, High Modernism in the twentieth century and the first name that usually comes to mind is Arnold Schoenberg. When his name is added to a program it almost automatically sends a portion of an orchestra's patrons rushing for the door, even now over 50 years after his death. And yet all through his life Schoenberg was torn between tonal and atonal music, particularly in the decades around the Second World War. Late into his life he was still producing works like the Second Chamber Symphony or the Suite for Strings which were not far removed in language from Mahler or Reger. But nothing in his output is quite like the Concerto for String Quartet and Orchestra. Long lumped with his other "orchestrations" of other composers, the work is actually not so much and orchestration as an original composition around a found object, in this case a Handel Concerto Grosso. In this work, you can hear elements of what would become post-modernism later in the decade. Robert Craft is one of the most important conductors of our time. He is a specialist in Schoenberg and Stravinsky. In the 1955 he did the first complete record of Webern' s works, and I believe that Stravinsky became a twelve tone composer influenced by his then young assistant. He was also responsible for one excellent almost integral record of Schoenberg's work. The level of the musicians he workedat this time can be exemplified by names like these of Glenn Gould, Helga Pilarczyk, Bethany Beardsley , Israel Baker and the Julliard Quartet. Unfortunately there are no Cds of these records ( the only exception : Schoenberg' s Piano Concerto opus 42 with Gould) . I believe that some works he recorded at this time , like Pierrot Lunaire, The Violin Concerto and The Four Songs opus 22 , remain as very important referencesin Schoenberg' s discography. These records appeared in LP by the label Columbia As Sony incorporated Columbia cataloguethey preferred to transfer to CD theversions conducted by Pierre Boulez, that in some cases are very inferior of these conducted by Craft. This may not be easy to get in the USA for very long.....don't miss it. 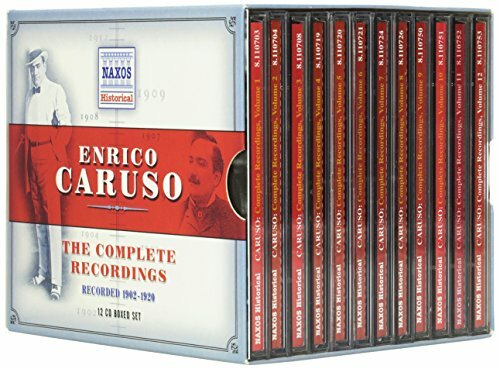 This set gives you the opportunity to follow the entire recording career of one of the greatest singers in Operatic History.Enrico Caruso was the first superstar of the 20th century -- and this without the benefit of mass media.His person and his records were his greatest publicity. 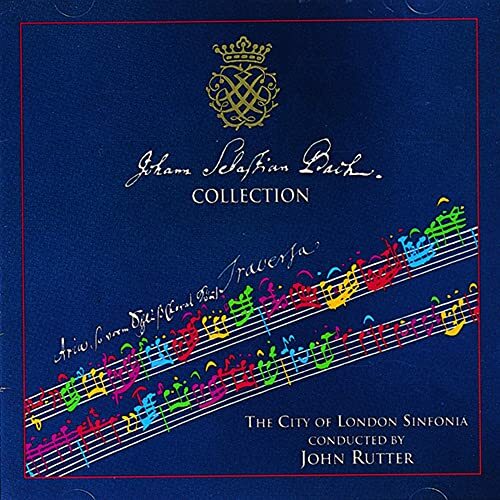 There is not a single duff piece in this early oratorio, and I cannot conceive of a better performance than it gets here (despite seeing a pretty impressive live version of it by Le Concert d'Astree last night in London). 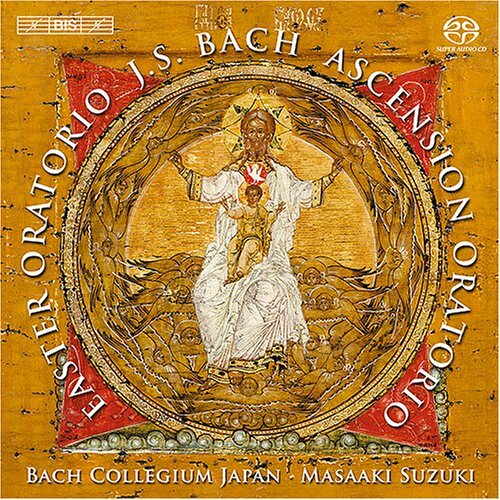 This is possibly the most glorious available recording of anything in the baroque repertoire. 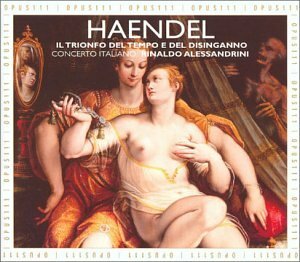 You can hear all the excitement that Handel must have felt on his exposure to the italian musical scene. In common parlance, giving 5 stars to this amazing achievement of Concerto Italiano is a "no brainer. "Go ahead, try to find for me a Handel vocal work performed more engagingly and so beautiful to listen to.One lovely aria performed flawlessly after another. 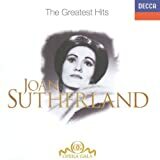 Joan Sutherland in her Prime!!Amazing!!! Joan Sutherland is truly the voice of the twentieth century.Up until hearing this album, I had only heard recordings of her from the 80's, and frankly, I wasnt impressed.I have since learned that she was is her prime in the 60's and early 70's. You don't need to be a flute-lover to enjoy this disc. This is a wonderful compilation of traditional Christmas pieces. 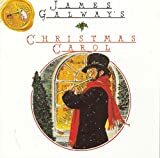 Galway plays a few solos, accompanies a few choral pieces, and the choir sings a few pieces on their own as well. 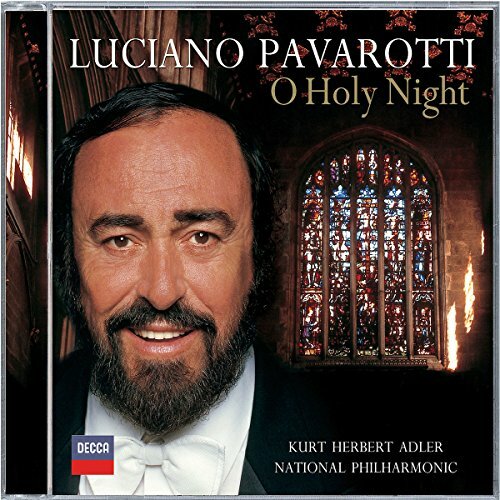 Inobtrusive as background music, but still beautiful under scrutiny, this is hands-down my favorite Christmas CD. 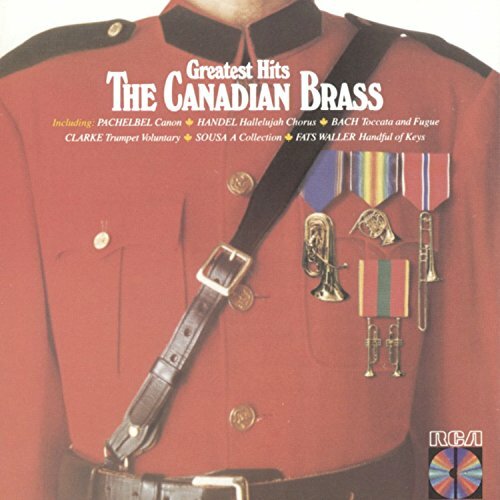 Brass at its Best Ever. A few years ago, I couldn't get enough of the Canadian Brass music.They were a delight to watch and to hear.They put so much spirit and talent into each performance, it was a wonder to behold.In this collection, there is a stirring Sousa grouping, Carnival of Venice, Pachelbel: Canon, and The Flight of the Bumblebees.It's a fantastic selection; they've recorded jazz and silly songs.For an obvious reason, the brass section is my favorite in any band or orchestra; two of my sons played the same trombone several years apart in the Pulaski school bands.Although Jeff, the flutist, was concertmaster his last year, I loved the way Zach and Justin mastered the trombone.Kenny's specialty was the trumpet (as was Chuck Southcott's), which shines through the brass section and is usually the star instrument. I really didn't know what kind of quality to expect from this CD. I bought it based strictly on the quality of other American Gramaphone music (Mannheim Steamroller to be specific). 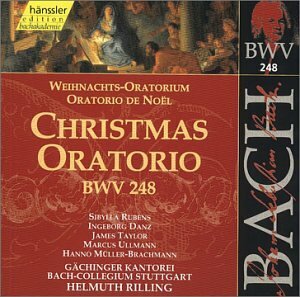 I was not disappointed in any way!If you're not sure what Bach to get, hesitate no more, this is a wonderful project.